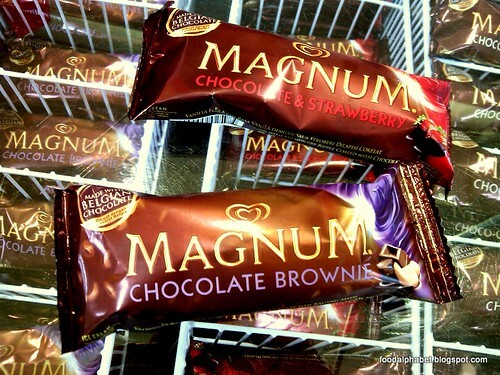 Joining the fabulous selection of Magnum is the new Chocolatier collection, the Magnum Chocolate Brownie and Magnum Chocolate and Strawberry. Dig into the new flavors and indulge in smooth, creamy brownie flavored ice cream, with chunky cashew nut pieces, or fancy yourself and take a bite into Magnum Chocolate and Strawberry. The sweetness coupled with an enticing taste of strawberries makes every bite, a thing to behold and to cherish. Magnum ice cream once again captures your every sense and gives you a personal and unique moment of luxury, indulgence and pleasure. Guess what Georgina Wilson loves it so. Get them at your favorite supermarket at P50.00 SRP. Indulge your senses.